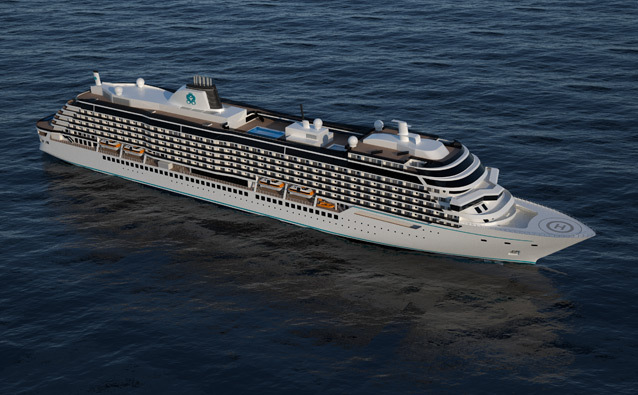 Crystal Cruises shared exterior renderings of their new ‘Diamond Class’ fleet with the first ship to be released in 2022. Incorporating pristine amenities and luxurious design elements, the 67,000-ton ships will comfortably accommodate 800 passengers taking once-in-a-lifetime voyages. Crystal River Cruises recently announced its new Crystal Collection excursions – culturally significant experiences for sailings along Europe’s Danube, Rhine, and Main rivers. These brand new experiences are scheduled to debut in 2018, and will focus on authentic cultural experiences for travelers. Close to 200 excursions will be available to travelers and extra excursions can be purchased at an additional cost. The new excursions are designed to help Crystal guests have the river cruise experience of a lifetime and dive into the rich cultures of these destinations. This summer, Crystal Symphony and Crystal Serenity will welcome multi-Tony Award-winning Broadway producer, Kevin McCollum, into its theaters as Crystal Cruises introduces an exclusive new partnership featuring guest singers, dancers, choreographers, directors, designers and other artists on select sailings. “Crystal on Broadway” will highlight the very best from the theater industry with top-notch performances, lectures, Q&A and other enrichment programs. 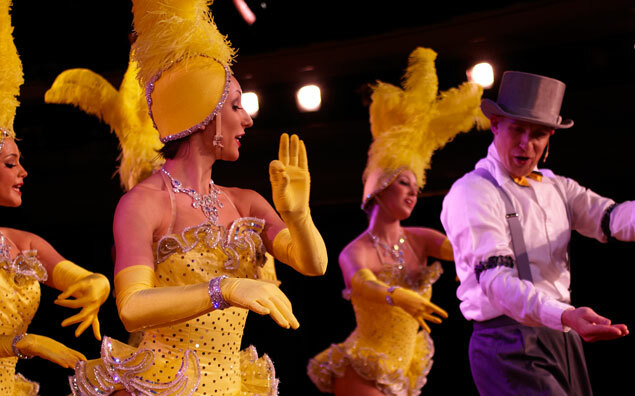 Join Kevin McCollum and fellow industry professionals on Crystal Symphony and Crystal Serenity as they elevate Crystal Cruises’ onboard theatrical performances with elegance and excellence. Check back with us for updates on specific sailings and destinations. Join Crystal Cruises on a special 2017 President’s Cruise to the Holy Land and Arabian Peninsula aboard Crystal Symphony. This 18-day voyage marks the cruise line’s return to the Holy Land and its surrounding regions for the first time since 2012. Edie Rodriguez, CEO and President of Crystal Cruises, together with her husband, will join guests for receptions and parties that showcase different cultures and history of the region. Discover Aqaba, the fabled desert wilderness of Wadi Rum, and the mountainous surroundings that is still home to Bedouin tribes during this President’s Excursion. Get ready to be fascinated by the exposure to authentic cultural display and specially prepared cuisine during an exclusive and festive evening. More adventure lies ahead in archaeological expeditions, rugged rock climbing, Indian Ocean scuba diving, Sky Tea at lavish Burj Al Arab and Sunset at the Burj Khalifa in Dubai. Other enlightening experiences include exploration of the lost Rose City of Petra and an overnight stay in Muscat in time for the Sultan’s extravagant birthday celebrations. This incredible “Holy Land and Suez Canal” cruise on Crystal Symphony departs in November 2017. Plan on being a part of this life-changing excursion by giving us a call today on 1-800-377-9383. 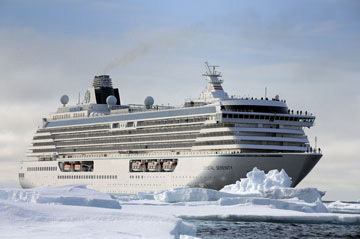 In August of 2016, Crystal Cruises traversed the seldom seen Northwest Passage on a 32-day voyage from Seward, Alaska to its final docking in New York City aboard Crystal Serenity. Following the outstanding success of this voyage, the cruise line is set to venture out to the once unpassable polar region with a comprehensive team of Arctic experts from Canada-based Arctic Kingdom in August 2017! Get ready to explore the region by kayaking in protected bays, trekking the tundra with an expert guide, taking helicopter flights to view the Arctic landscape from the air, and scouting for wildlife like polar bears and whales. The “queen of European Rivers” was officially welcomed into the Crystal River Cruises fleet on July 11, 2016 with a fabulous, overtly sophisticated christening in Vienna, Austria. Thanks to the spectacular amenities and all-suite accommodations featured on this world-class cruise, Crystal Mozart has positioned herself as the largest of all European river vessels with the highest guest-to-crew ratio in river cruising. During the event, 175 VIP guests were treated to a cocktail reception with a traditional Viennese Brass Orchestra playing in the background. Guests were then given the opportunity to experience the amazing works of Mozart and Strauss at the Belvedere Palace; an event available to all guests sailing with Crystal Mozart. 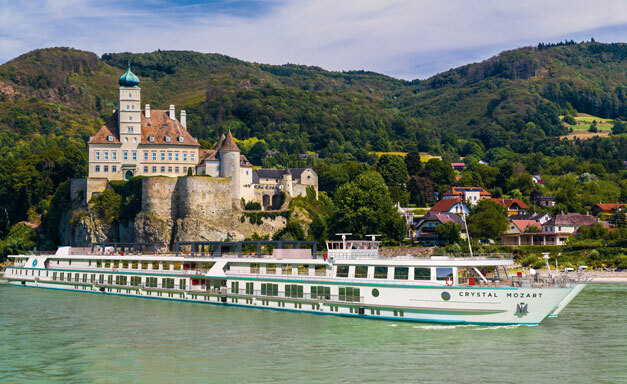 The hallmark of this stunning river vessel complements Crystal Cruises’ image as an all-inclusive luxury brand with the most technologically advanced features in the river cruising industry. With Apple iPads that serve as directories for dry cleaning and room service requests to digital signage used for weather updates, dining reservations and spa appointments, each guest is in for a truly personalized service that raises the bar in elegance and excellence. Crystal Mozart, the first vessel in the Crystal River Cruises fleet is set to elevate the Crystal Experience. Named after the famous Austrian composer, Wolfgang Amadeus Mozart, this spacious, state-of-the-art river vessel is the largest river cruise ship on European rivers, and has a crew-to-guest ratio of approximately 1:1.75. 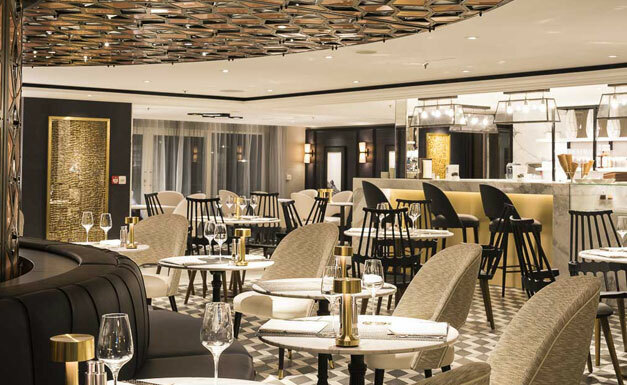 Crystal Mozart exudes every ounce of luxury that truly represents the legacy of Crystal Cruises with plush fabrics, timeless color palette intended to transcend seasons, and calming foundations of cream, gray and white sparkling marble bathrooms. Expedition luxury cruising is advancing to the next level with Crystal Endeavor, the world’s largest, most innovative polar class megayacht from Crystal Cruises. Setting the record as the largest and most spacious megayacht afloat with a 1:1 passenger-to-crew ratio, this purpose-built expedition cruise ship will head to the Arctic, Antarctic and tropical regions for significant explorations. Highlights of these voyages will include trips to sunken galleons, warships and passenger ships like the Titanic, as well as remote islands in the Atlantic and Pacific Oceans rarely included in itineraries of other cruise lines. Crystal Endeavor’s state-of-the-art offshore dynamic positioning technology will automatically maintain her position while floating atop these sunken treasures and coral reefs without deploying anchors. The 200-guest capacity of Crystal Endeavor will make way for spectacular views of whales and other wildlife in the 270-degree panoramic signature Palm Court. Plus, Crystal Cruises’ widely-acclaimed butler service will be featured in all 100 guest suites, in addition to a full-service spa, salon, wellness center and infinity pool. The guest suites will range from 400 square feet to 3,122 square feet; exceeding the minimum and maximum standard measurements for all existing expedition and luxury cruise ships. The two Owner Suites will feature a master bedroom, two guest bedrooms, indoor and outdoor living areas, private conservatory, garden and outdoor Jacuzzi, private spa and gym, steam room and treatment room. When connected with a penthouse suite, the total square footage of the Owners Suite will amount to 3,928 feet, surpassing any cruise ship accommodation to date. Now this is ultimate luxury! 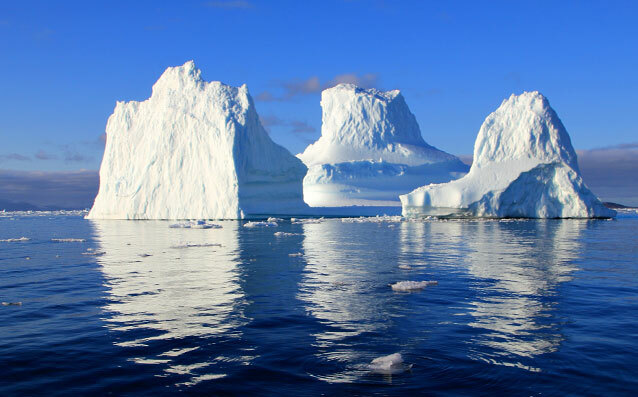 Currently only available to Crystal Society members (Crystal Cruises‘ past passengers), a once-in-a-lifetime chance to traverse the seldom seen Northwest Passage is now available for 2016 with Crystal Cruises. 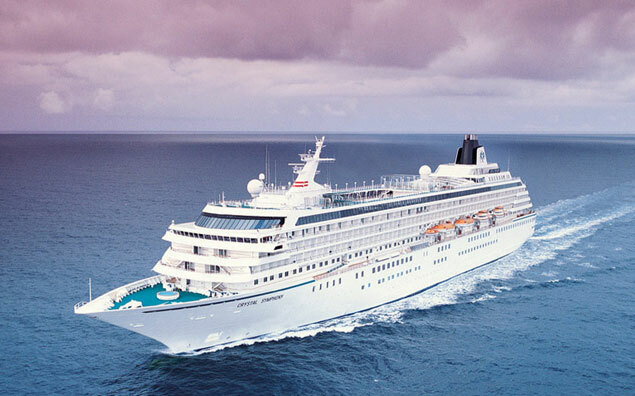 Once considered impassible by seafarers, this maiden voyage for Crystal Cruises will blend the remote beauty of this isolated voyage above Canada, with the luxury Crystal Cruises is known for. The cruise reservations will open to non-past Crystal passengers on September 1, 2014, but space is extremely limited! 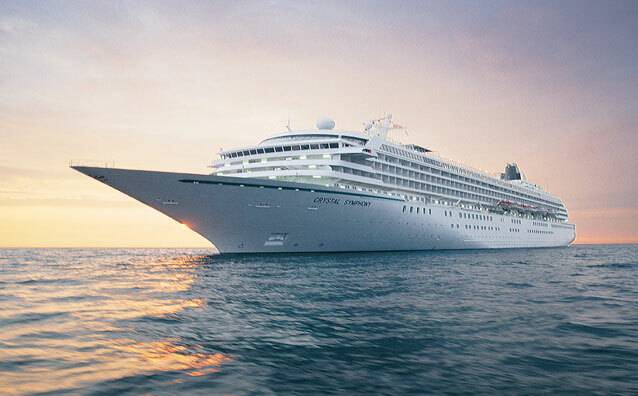 Departing from Anchorage, Alaska and sailing 900 miles to New York City, this voyage is the first of its kind aboard the amazing Crystal Serenity. Along the way you will experience fjords, untouched glaciers and a backdrop of breathtaking beauty. It’s taken over two years to plan this voyage with the utmost attention to safety for both the passengers and local ecosystems. Guest speakers throughout this tour will deliver lectures on climate change and how it has already impacted the sites on this voyage. Here are some of the new experiences in store for Crystal Cruises’ passengers. 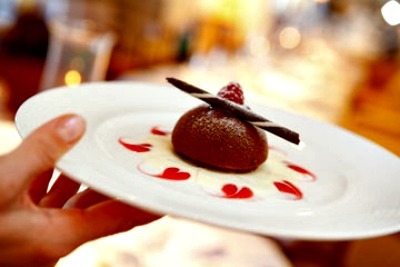 Updating their menus to offer innovative courses using the latest in culinary technology. Introducing a variety of shore excursions for runners to explore ports as they break a sweat. Offering a cruise focusing on the growing interest in craft brewed beers. Toni Neumeister, Crystal’s Vice President of Hotel Procurement and Food and Beverage Operations, has said that their customers are looking for new dishes to delight in. “In recent years, seasoned diners’ palates have become increasingly more sophisticated, wanting more than grilled porterhouses and butter-drenched lobster tails for gourmet foodie experiences,” she said.